If you didn't catch The Zoe Report yesterday, I was so excited to partner up with them for this fun Dior inspired DIY! I have been drooling over it ever since I saw it in the Fall 2012 RTW collection but it has a serious price tag of $2,700! Do you know how many pairs of shoes you can buy with that kind of coin?! So naturally I opted to spend $45 on supplies and got my DIY on! Begin by measuring both cords around each stone using the needle to hold them in place. Next, measure a square around the stone making sure to leave enough room on all sides. Cut out your square and apply the E6000 glue to your stone and adhere it to the felt. Repeat 3 times. 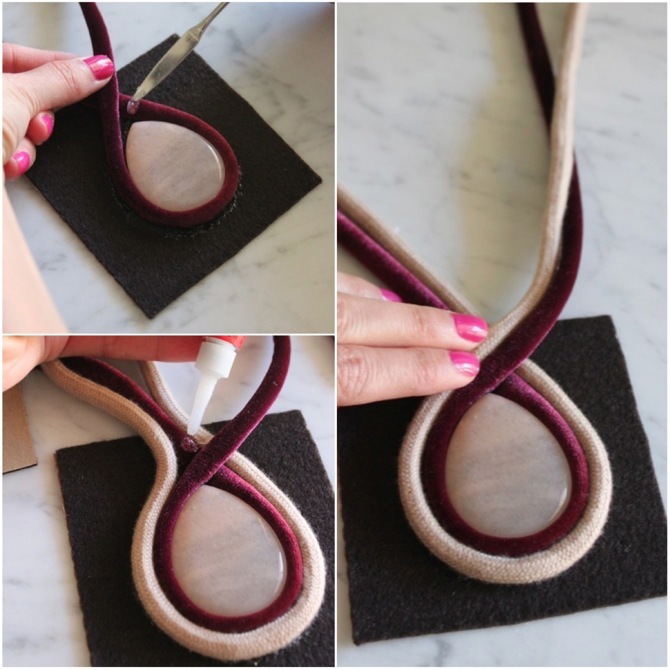 Measure velvet cord around the stone and cut. 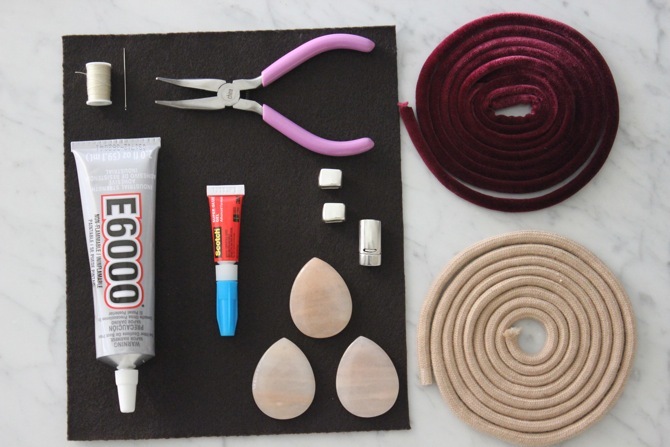 Apply E6000 glue directly on felt and adhere velvet cord. Repeat with spiral cord leaving end on the outside of stone (see bottom right). You will repeat this process on one other square, reversing the spiral cord end to the opposite side. Leave to dry. 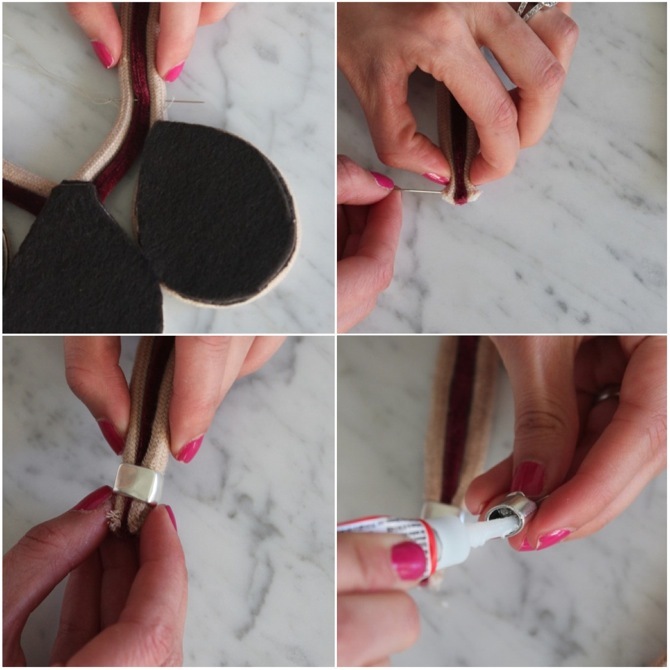 For the middle stone, adhere velvet cord to felt and criss cross cord at the point. Repeat with Spiral cord. Leave to dry. Once they have dried, cut felt around each stone. Place all 3 stones together leaving the middle stone hanging lower. Adhere them together using super glue and leave to dry. Next using E6000 glue, adhere each cord together and press firmly. Leave to dry. After glue is applied, set cord in. 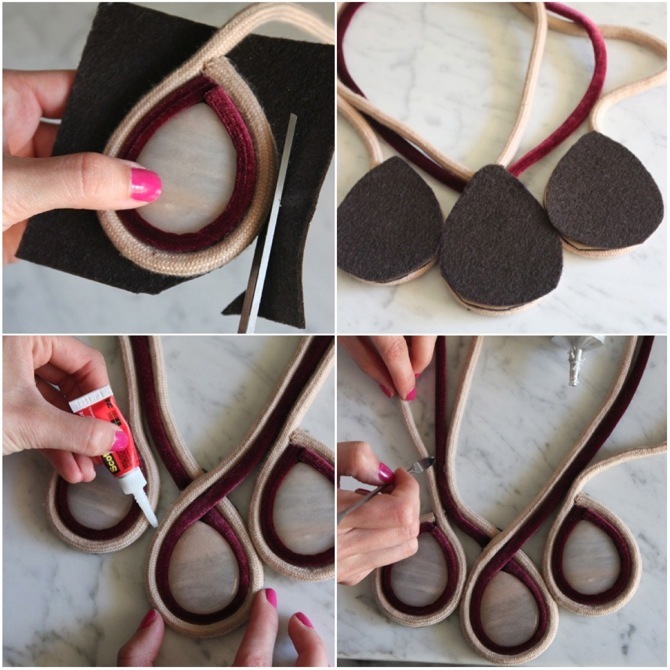 You can use tool to push loose strings in. Repeat on other side. 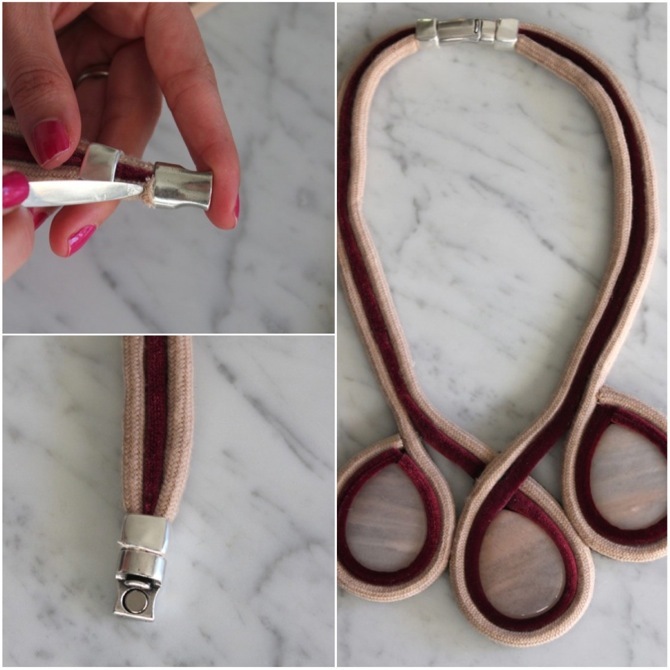 Allow necklace to dry overnight. Look nice! thank for sharing the DIY. That looks amazing! Such a great idea! I need to try! Wow, it looks perfect! You're a pretty crafty lady (I, sadly, am not). Wow! It looks amazing and store bought! Nicely done! YAY! i was so excited when i saw you on TZR yesterday! i can only dream to be this crafty...great job girl! and congrats on the feature! aaaaaammmmmmaaaaazzzzzziiiiiinnngggggg (imagine me singing that, because i just did)! Wow, this DIY is awesome! I love the result, looks stunning! Gorgeous! I would never guess the necklace isn't designer! Great DIY! This turned out so well! LOVE!! How in the world did you come up with this?! Nice work Nicole. HOLY SHIZZZZZ girl, how did A- I miss this, and B- How did I miss this!!! You ROCK!!! xoxo- gchat/texty date soon!!! Happy almost turkey day love! 'm so friggin' proud of you. Total old bag comment, but so true. Get it! 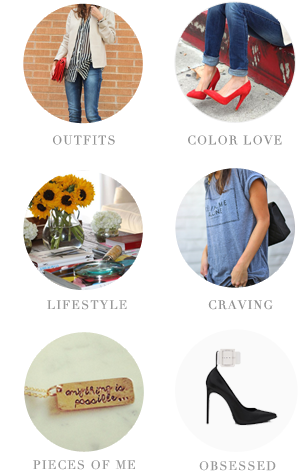 This was such a GREAT DIY! Wow, this is amazing, and I adore how you thought of it in terms of how many shoes! I can relate! Hope to see more DIY projects in the future! You've got major skills!!!!! Awesome post.Thanks For share this post with us.apparent within the world of knickknack immediately. The year 2016 came up with new trends and conjointly there have been additional of the boho jewelry items and in 2017, this year, there's heap of turns and twists with the fashionable jewellery.therefore the silver jewellery items area unit termed as unaltered items guaranteed to last generations.